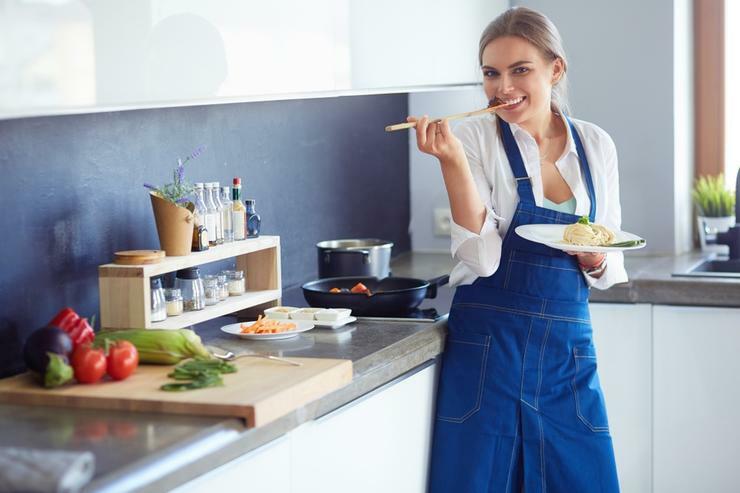 Technology is revolutionising the way we do things and that includes in the kitchen where a wealth of must-have gadgets and appliances are the making life easier for home cooks. Here are just a few of the latest must-haves. At the heart of any selection of must-have kitchen appliances is a good mixer. Enter the Sunbeam Mix Master Compact Pro which makes it easier than ever to mix anything from batter to sauces. The appliance’s powerful 400 watt motor ensures it can deal with any batter mixture, no matter the thickness. Ten speed settings ensure that delicate recipes can be handled with ease. The Sunbeam Mix Master Compact Pro is available at Spotlight. Eggs on toast is a simple-to-make staple in many homes but even it isn’t safe from the advances of technology. With the Tefal Toast and Egg, you can cook two pieces of toast, or muffins or croissants or bagels, while cooking an egg. How convenient is that? It is also remarkably easy to maintain. The appliance has a high lift facility, and a crumb tray that ensures no time is wasted hunting errant crumbs. Every home needs a blender in the kitchen, especially with all those healthy juicing and cleansing regimes that are now available. The Kambrook Blitzpro Power Blender is one of Australia’s best. It easily cuts through harder and fibrous vegetables, fruits, and nuts; this means you can blend just about anything. A powerful 800 watt motor ensures a smooth and balanced blend and also means the appliance can be used to grind seeds, coffee beans, and even hard cheeses. With a food hydrator, you can make natural dried foods without all the preservatives used by many major brands. The IMK Professional Digital Food Dehydrator has four temperature settings between 38C and 68C allowing users to dehydrate food to their taste. The appliance also comes with a 12-hour digital timer and auto function so you do not have to be around while food is being dehydrated. Pressure cooker can be used to cook a variety of foods including rice, stews and soups, making meal preparation much easier. One of the best pressure cookers on the market, the IMK Pro Pressure Cooker, has a six-litre bowl, nine cooking functions, an automatic warming function, and even a soft touch control panel with an LED display! Think convenience and efficiency.